Each year about this time, people call or email me asking what to get as a holiday present for their favorite classical music lover. My answer this year remains the same: tickets. Technological innovations notwithstanding, attending a concert in person is still the best way to experience the full scope of classical music. If you plan ahead, you can obtain tickets at reasonable prices, especially if the recipient of your gift is a senior or student. Better still, plan on attending the concert with the person to whom you provide the tickets. 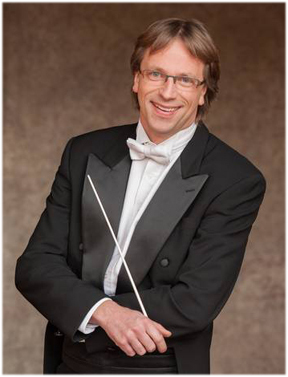 • Carl St.Clair (pictured), music director of the Pacific Symphony in Orange County, will lead the USC Thornton School of Music Symphony on Jan. 22 at Walt Disney Concert Hall. The program is micro and macro: Mozart’s Concerto for Two Pianos (with Bernadene Blaha and Kevin Fitz-Gerald as soloists) and Richard Strauss’ sprawling musical depiction of a day the country, An Alpine Symphony. 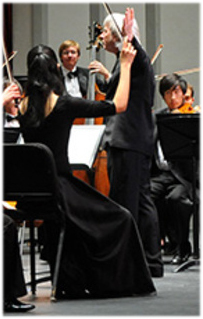 This entry was posted in Uncategorized and tagged Carl St.Clair, David Lockington, Eckhart Preu, Jeffrey Kahane, Long Beach Symphony, Los Angeles Chamber Orchestra, Nicholas McGegan, Pasadena Symphony, USC Thornton School of Music by Robert D. Thomas. Bookmark the permalink.